When GA+ released the original Galaxy Alliance, the company made no bones about it – the game’s social elements are its main selling points. That once again applies to Galaxy Alliance: New Horizons, the recently released sequel for iOS devices. 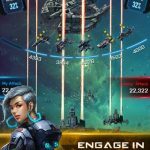 GA+ calls its new game the most addictive and sci-fi social strategy game out there, and while we can’t say just yet whether it really is the most addictive or not, there’s definitely a touch of Clash of Clans in this game, as there was in the original. Once again, you can build your own base and attack players from all over the world, join alliances and fight other alliances out there in the in-game world, and develop your planet into an untouchable force. 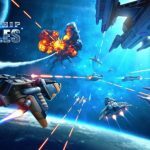 So now that we’ve filled you in on what this game is about, let’s move on to our collection of Galaxy Alliance: New Horizons tips, hints and tricks. In order to move through the main storyline, you’ll have to follow the Planet Quests if you want to stay on the right path. These quests will tell you what to do next with your base, just in case you aren’t quite sure of what to do next. By following them, you’ll be able to keep your base up to speed and ready to take on anyone who tries to attack it. Planet Quests aren’t the only ones out there you have to follow. You’ve also got Daily and Alliance Quests. Daily Quests don’t require you to fulfill any specific task; all you have to do is start the quest and wait it out as instructed. You can then collect a reward after waiting. Alliance Quests, on the other hand, work in a similar way, except for the fact that you’ll need to join an alliance to take them on. These quests earn you rewards not only for yourself, but also your alliance. If you’re starting out in Galaxy Alliance: New Horizons for the first time, you’ll be given the Peace Diplomacy buff. This isn’t an entirely unique buff in MMORPGs, but if you aren’t familiar with how it works, this prevents other players from attacking you for your first 24 hours after playing the game for the first time. Take advantage of this 24-hour immunity by preparing your base against the attacks that are sure to follow once the 24 hours are up. 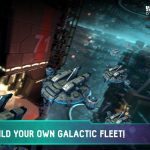 Build as many ships as possible and beef up your defenses, because veteran players invariably target the newer ones in this game. 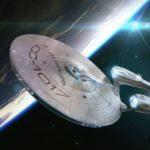 There is an “elemental” mechanic in play in Galaxy Alliance: New Horizons, but the thing here is that you’re not dealing with elements, but ship types (except Flagships). Frigates, which are designated by their twin missiles, are strong against Assaulters but weak against Cruisers. Assaulters, which sport three lasers, are strong against Cruisers but weak against Frigates. Lastly, Cruisers, which come with a chain gun, are strong against Frigates but weak against Assaulters. Keep this mechanic in mind before deploying ships and you’ll win more battles. Before you can even think of attacking another player’s base, you should make sure that you’ve scouted it first. The quality of your scouting would depend on how far you’ve upgraded your scouting tech; if you’ve upgraded it enough, you can get in-depth information on the ships that an enemy has. This should allow you to plan accordingly, and leave you no excuse if you don’t bring the right ships with you for your attack. Once you’re done with a battle, always head back to your base to regroup. And when we say regroup, we mean having your ships repaired if there’s damage. Using a damaged ship in a battle is a shortcut to losing it, so make it a point to repair them before you attack once again. Take care of your ships like you take care of your health; make sure they’re in the best shape possible before you make a move on an opponent. In relation to the above tip, you should make it a point to regularly upgrade your repair bay. As you move forward, your fleet will grow and you won’t have enough space in your repair bay. So when you’re upgrading structures, do not overlook the repair bay; upgrading it gives you all the space you need for your growing army of ships. Have you come across any other Galaxy Alliance: New Horizons tips, tricks or cheats? In case you know some useful tips, don’t hesitate to share them with us!